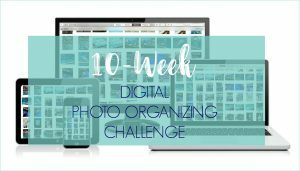 We’re entering the home stretch here on the 10-Week Digital Photo Organizing Challenge, and hopefully, you are beginning to reap the benefits of all of your hard work! 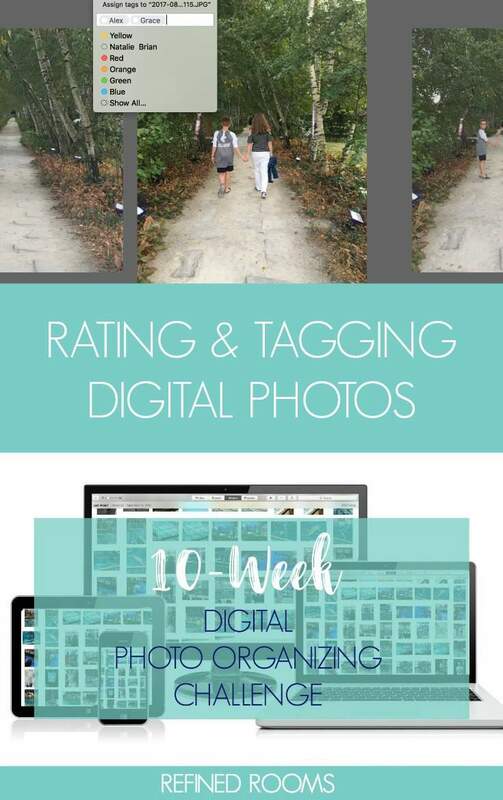 Ready to learn about rating and tagging digital photos? Last week was a pivotal moment for those of you who completed the assignment to rename your digital image files. By doing so, you unlocked the key to easily finding your images by giving each one of them a searchable name. In my experience, completing this step gets you about 90% there when it comes to finding the photos you are looking for. There are times, however, when going the extra mile by adding tags/keywords and ratings to your images can really make your photo organizing system hum like a well-oiled machine. How many of you are searching for the PERFECT photo(s) to include in this year’s holiday card? Wouldn’t it be great if you had some way to flag the “best of the best” photos you took over the year? If you had, it would simply be a matter of looking at that small sub-set of photos to create your holiday card. What if you wanted to give your high school senior an amazing graduation gift in the form of a photo book that contains highlights of his/her life over the past 18 years? I bet you would appreciate having a magic tool that could somehow enable you to quickly retrieve photos of that particular child. 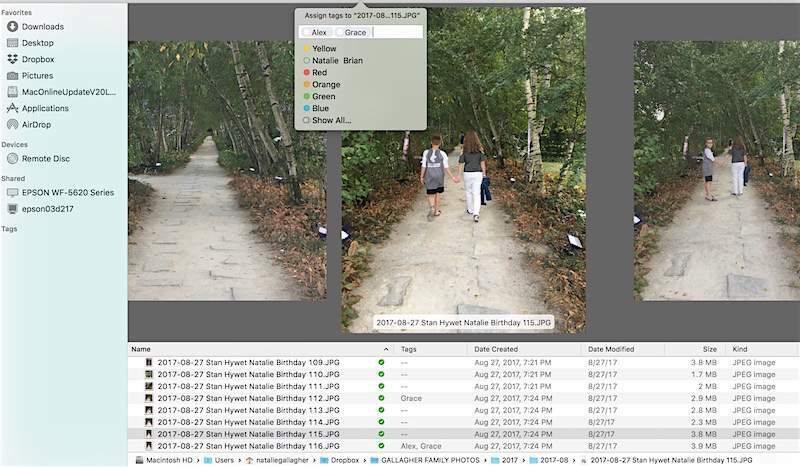 Fortunately, there are tools that can assist you in both of these scenarios…the Tag/Keyword and Rating functions within your computer operating system and/or photo organizing software programs. 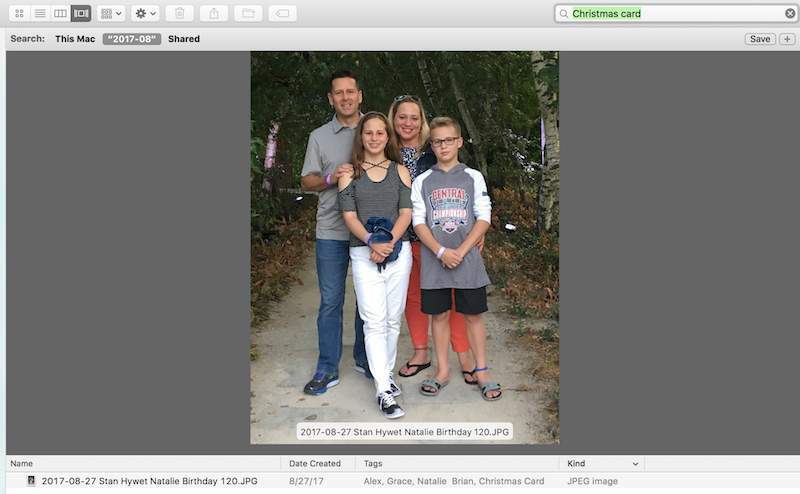 In the photo organizing world, adding keywords/tags and ratings to your photos is considered by many to be an optional step in the photo organizing process. The thought is that if you’ve used a highly descriptive naming convention, you may find that searching for photos by file name is sufficient most of the time. In a sense, you are adding keywords/tags to your digital image file when you rename the file. However, there is a practical limit to how long an image file name can be. So let’s explore some ways that rating and tagging (or keywording) your photos can be useful. In the screenshot below, you can see the benefit of beefing up the image metadata (data embedded in a digital image) by using tags to add an extra layer of specificity to my images. Searching just on image name, I can easily locate the photos we took on my birthday when we visited a local historic landmark. Since this collection of images is rather large, I chose to add tags to indicate which family members were in each photo. To add tags, I didn’t use anything fancy. I simply pulled up the folder of images in the Finder window on my Mac and selected the Tag option in the dropdown menu. You’ll also notice in the image below that one of the images is tagged with CHRISTMAS CARD, which means it will be among the handful of images that I’ve identified throughout the year as Christmas card worthy. So now that it’s time to create our annual Christmas card, all I need to do is search for images with the CHRISTMAS CARD tag when I sit down to create that card. Soooo much easier than having to go through 1500+ images that I’ve taken so far this year! In the series below, I ended up keeping two of the four images in the series (just the images with a Green rating). This process helps me to keep only the best images and keeps the size of my digital photo collection manageable. Another way that I’ve found tagging/rating photos to be super useful is during the photo book creation process. In this post where I walk you through my process for creating a digital photo book, I describe how I whittle down a collection of images by using the FAVORITES tagging function to select the best photos for inclusion in the book. 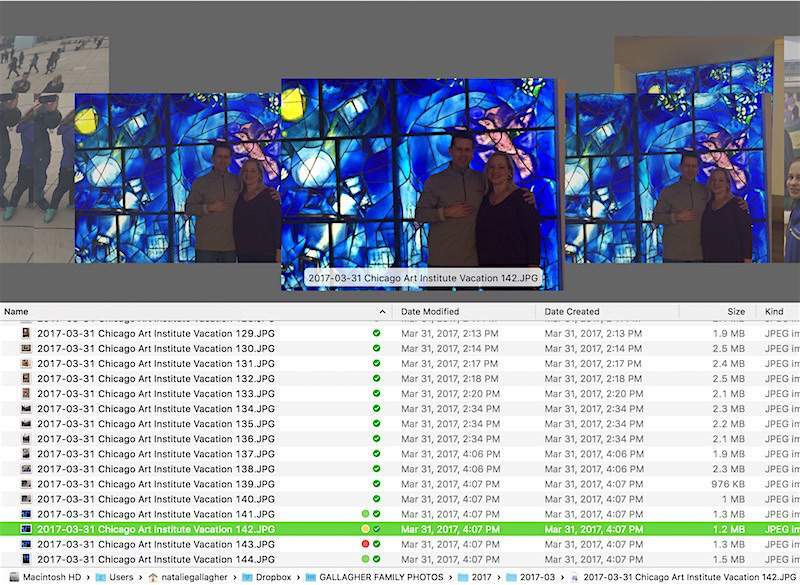 Both the Windows and Mac operating systems come with built-in basic photo management software that offers photo rating and tagging functionality (Windows Photo Gallery on a PC and Photos on a Mac). Keep in mind that you can typically perform these functions in a batch process to save time. Be sure to return later in the week to let me know about your progress with rating & tagging digital photos via the comments section, Facebook, or Instagram (use hashtag #DPOchallenge on Instagram). 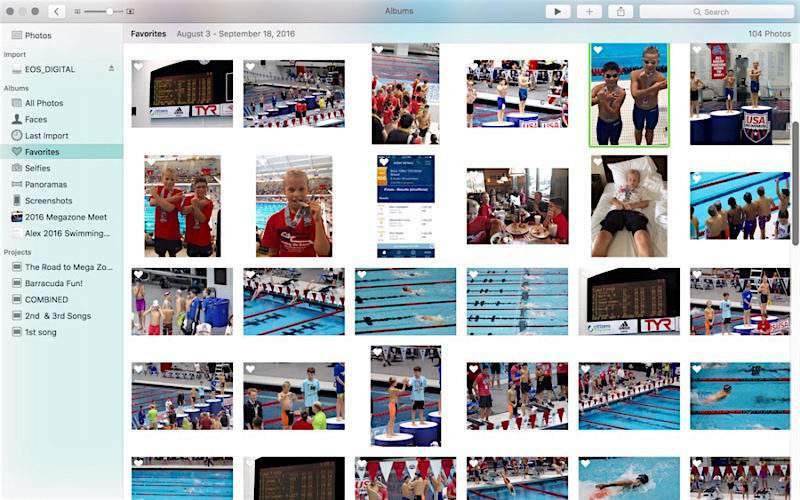 To make the photo organizing process a wee bit easier, I’ve created a free companion resource for Challenge participants, the Digital Photo Organizing Tool Kit. We’re in the home stretch of getting those photos organized…see you back next week!